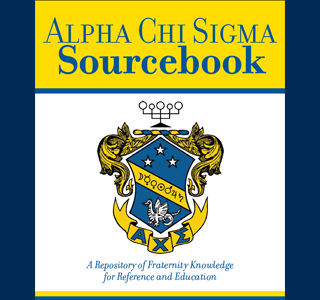 The purpose of this book is to furnish information about the aims, ideals, history, and governance of Alpha Chi Sigma. So in that respect it could be considered a pledge manual. However, this is much more than a reference book for pledge tests. This book is to be used as a guide for obtaining a working knowledge of Alpha Chi Sigma, its aims and ideals during pre-initiation days. The information herein can be used to answer all who ask "What is Alpha Chi Sigma?" It also can serve as a sort of scrapbook for the individual's college career and used as a reminder of college days and early associations with Alpha Chi Sigma.